Good news! After the travel ban against Zunar was lifted in June, the much more serious charges against him under the Sedition Act were dropped end of July. If tried and convicted, Zunar could have faced more than 40 years in prison. It seems likely that the charges were brought forth by the previous government to silence a critic of the former prime minister Najib Razak. This situation fundamentally changed after the 2018 general election in Malaysia, which ushered a different political coalition into power. It remains to be seen whether the new government will continue to hold human rights in higher respect. The travel ban that has been imposed on Zunar in October 2016 was lifted (read more). Zunar, a political cartoonist whose full name is Zulkiflee Anwar Ulhaque, has critized the government under previous prime minister Najib Razak for many years. In what appeared to be an effort so silence a critical voice, he has faced harassment, publishing bans, and criminal charges by government forces. Now that the travel ban has been removed, the publishing bans and charges under the Sedition Act (with a potential penalty of 43 years) still are unresolved. 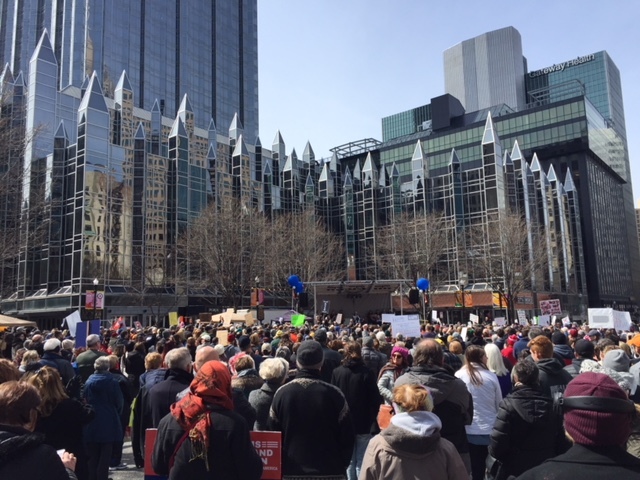 On March 24, local members of Amnesty International marched with high-school students and many other people for the “March for Our Lives” rally in support of tighter gun regulation. 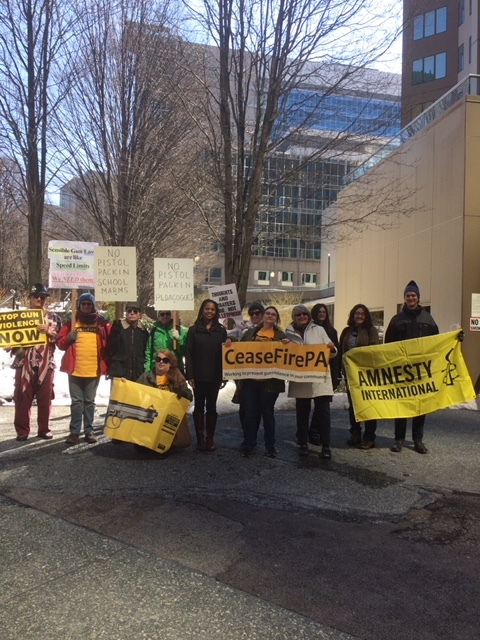 Amnesty International USA has called for a sustained campaign on this issue, and were glad to add our bodies to more than 10,000 others in Pittsburgh. Join Amnesty International Pittsburgh (group 39) and many other inspiring Pittsburgh rights groups and community leaders on Wednesday, December 6, 2017 for our annual Write-a-thon and Human Rights Festival. Held from 6-9 pm at Calvary Episcopal Church, this year marks the 31st annual gathering, during which you contribute to writing between 500 and 1000 letters on important human rights cases of our time.